PAPERBACK EDITION IS CURRENTLY OUT OF PRINT. CHOOSE THE E-BOOK OR KINDLE LINK BELOW FOR A DIGITAL COPY. 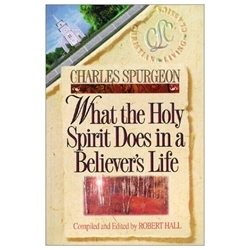 Spurgeon credited his success to the powerful work of the Holy Spirit. He firmly believed that the spiritual transformations that occurred throughout the book of Acts were only the beginning of the mighty works the Holy Spirit intends to do. Declaring that Pentecost was not the pinnacle of the church's experience but only the first unveiling of what could and should happen, Spurgeon called upon believers to receive and live up to the full potential of the Holy Spirit.